A multigenerational trip with parents, grandparents, and grandkids can afford your family a unique travel experience that can bring them closer together while expanding their horizon of the world. If you need a vacation for the whole family, we have the best way to save on one. Click here or call 1-800-250-7912 to sign up with Global Travel International (GTI). You’ll save money and be able to plan a trip that both the grandparents and kids will never forget! Grandma and grandpa, who in many cases treat the family, give their children and grandchildren an unforgettable gift and unparalleled travel adventure – and for the grandparents, it’s a special and rare opportunity to spend quality time with your kids and grandkids far from the hustle and bustle of everyday life. Mom and dad get time with both their parents and their kids, bringing the family closer in a way unduplicated by any other travel. As for the grandkids, ramp up their enthusiasm for traveling with the old folks by picking a special destination for a unique family vacation experience. Pick a place where everyone in the family can either have some fun or at least enjoy watching the younger ones laugh, smile, and play. 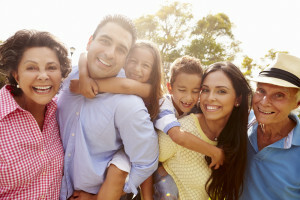 Venues for multigenerational family trips can include cruises, Disney theme parks, beach vacations, ski vacations, dude ranges, national parks, and foreign countries. In the U.S., Orlando, home to Disney, is an obvious choice, but Cape Canaveral has a lot to offer, especially for kids fascinated with outer space. You can learn about the history of the U.S. space program and stroll through the rocket garden. In addition, there are manatees, alligators, deep-sea fishing, and miles of beach for swimming and other activities for family members of all ages. 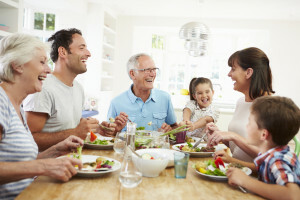 On a multigenerational family vacation, the age range of participants can range from 3 or younger to 80 or older, which requires some planning to pull off. For instance, a grandparent with arthritis or peripheral arterial disease can walk only a limited distance, and a 5-year-old will have a hard time keeping pace with his 6’5” dad. So the physical exercise must be limited and paced so no one feels left out. One great activity the whole family can enjoy without physical difficulty is a river cruise down the Thames, Rhine, or other major waterways. When planning the trip, ask everyone going – especially the kids – for one or two activities they’d really enjoy. Organize the itinerary so you hit as many of these wish-list items as possible. Kids especially will enjoy the vacation more if their requests are respected and delivered on. Few things can bring a family closer together than a multigenerational vacation — and we have the best way to save on one. Click here or call 1-800-250-7912 to sign up with GTI and travel like a travel agent. You’ll be able to plan a trip that everyone in the family will love. Rushing to hit every museum, cathedral, zoo, exhibit, castle, art gallery, and a historic site may seem tempting. But it can also be stressful and wear out your family members, young and old alike. Plan at least one or two days where you can slow down the pace and relax more. Grandpa and grandma may want an afternoon reading on the beach or playing cards at the lake. Kids might enjoy a few hours playing in the hotel pool. Mom and dad may even want a nap. Don’t resist a more leisurely pace – embrace it. With multigenerational families, it can be tough to get the whole clan together all in one place, especially at a beautiful resort or exotic foreign country. You may live to regret it if you don’t capture memories from your multigenerational vacation in photographs and videos. Fortunately, with smartphones, now everybody is a photographer and videographer, without having to lug heavy and expensive gear.